Growing in Grace Podcast: 560. Why Jesus Taught Two Covenants (Part 17): Who Was Jesus Speaking To? 560. 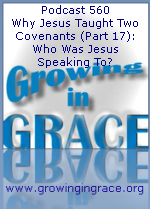 Why Jesus Taught Two Covenants (Part 17): Who Was Jesus Speaking To? The assumption is often made that the teachings of Jesus were intended for us believers. But He clearly stated He was sent to minister only to the lost sheep of the House of Israel. So the religious mindset within Christianity will conclude that after the cross, we were meant to abide by or adhere to all of the teachings of Jesus because they think we were invited into a Jewish covenant. The problem with this? People will pick and choose what they think should be applied, while ignoring other parts. Old Covenant law was never meant for us Gentiles and the Jews would also come to be redeemed from it. 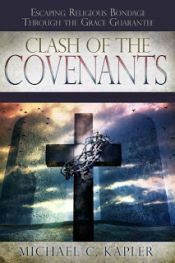 But when Jesus points towards the New Covenant, we find it leads to a place of ceasing from a works-based effort at attaining redemption and brings us to a place of rest and peace.